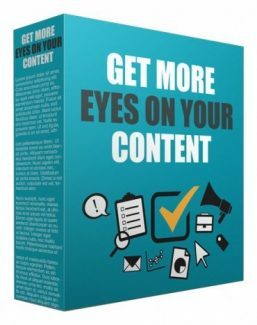 Learn the 8 Ways to Get More Eyes On Your Content! The thing is that, even if it is very simple to hear, but sometimes content marketing is not very easy to do. Well, the good news is that inside this product is a video guide that will help you boost your content marketing efforts.